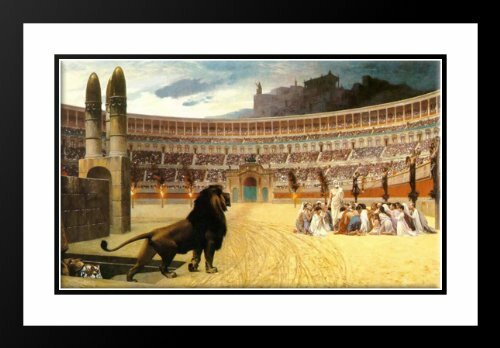 The Christian Martyrs' Last Prayer 25x29 Framed and Double Matted Art Print by Gerome, Jean Leon by ArtDirect at Rossetti Productions. SKU: 2x-ADI-00460-B. Hurry! Limited time offer. Offer valid only while supplies last.